Just Breathe: Body Has A Built-In Stress Reliever Deep breathing is not just relaxing; it's also been scientifically proven to affect the heart, the brain, digestion, the immune system. Research has shown that breathing exercises can have immediate effects by altering the pH of the blood, or changing blood pressure. There are plenty of ways to relieve stress -- exercise, a long soak in a hot bath, or even a massage. But believe it or not, something you're doing right now, probably without even thinking about it, is a proven stress reliever: breathing. As it turns out, deep breathing is not only relaxing, it's been scientifically proven to affect the heart, the brain, digestion, the immune system -- and maybe even the expression of genes. "You can influence asthma; you can influence chronic obstructive pulmonary disease; you can influence heart failure," Golubic says. "There are studies that show that people who practice breathing exercises and have those conditions -- they benefit." He's talking about modern science, but these techniques are not new. In India, breath work called pranayama is a regular part of yoga practice. Yoga practitioners have used pranayama, which literally means control of the life force, as a tool for affecting both the mind and body for thousands of years. 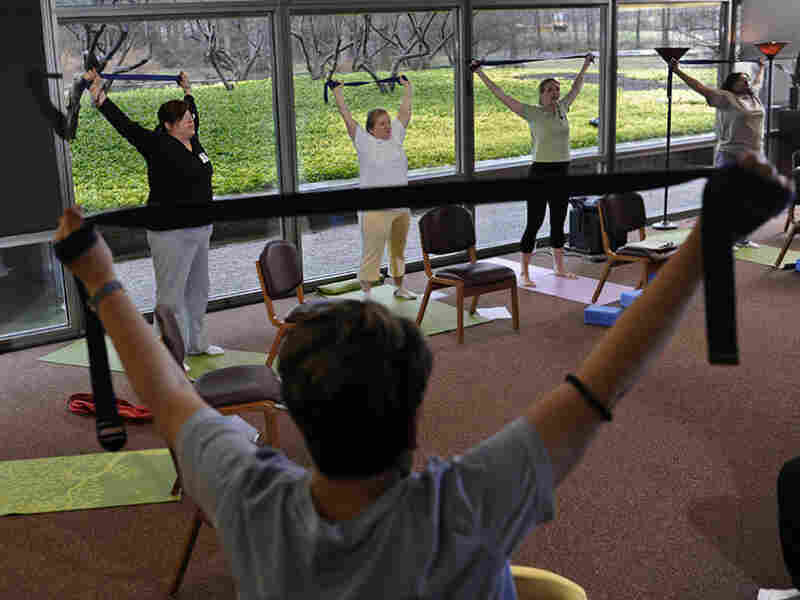 Judi Bar teaches yoga to patients with chronic diseases at the Cleveland Clinic. Bar uses yoga and modifications of traditional yoga breathing exercises as a way to help them manage their pain and disease. What Happens In The Body When We're Stressed? The physiological stress response is actually designed to be an asset. It speeds the heart rate and diverts blood away from the gut and to the muscles so we can run away. It constricts the pupils of our eyes so we can focus on our attacker. It dilates the bronchi of the lungs to increase blood oxygenation, and converts energy stored in the liver into fuel for strength and stamina. In short, it keeps us safe, says Esther Sternberg, physician and author of several books on stress and healing. It's in a part of the brain called the hypothalamus, which makes a hormone called CRH, or corticotropin-releasing hormone. Sternberg says that when you are stressed, you are bathing yourself in a whole soup of other nerve chemicals and hormones. But if they hang around too long, those same nerve chemicals and hormones can impair the immune system. Eventually, stress hormones make the adrenal glands release another hormone called cortisol. Cortisone, which is the drug form of the hormone cortisol, is one of the most powerful anti-inflammatory drugs available. "What's happening when you're stressed is that your own body is giving itself multiple shots of that anti-inflammatory hormone, and so that tunes down your immune system's ability to do its job to fight infection," Sternberg says. "Our breaths will either wake us up or energize us. It will relax us, or it will just balance us," Bar says. "So, at first we pant like a little doggy, and then we close our mouth, and then the nostril breath starts right after that. OK, here we go," she says. Bar then begins to pant, first with an open mouth and then through the nose. It almost makes you feel lightheaded just watching. Afterward, she says she feels a little dizzy but energized enough to run around the block a couple of times. But more importantly, they can be used as a method to train the body's reaction to stressful situations and dampen the production of harmful stress hormones. Esther Sternberg is a physician, author of several books on stress and healing, and researcher at the National Institute of Mental Health. She says rapid breathing is controlled by the sympathetic nervous system. It's part of the "fight or flight" response -- the part activated by stress. "The relaxation response is controlled by another set of nerves -- the main nerve being the Vagus nerve. Think of a car throttling down the highway at 120 miles an hour. That's the stress response, and the Vagus nerve is the brake," says Sternberg. "When you are stressed, you have your foot on the gas, pedal to the floor. When you take slow, deep breaths, that is what is engaging the brake." 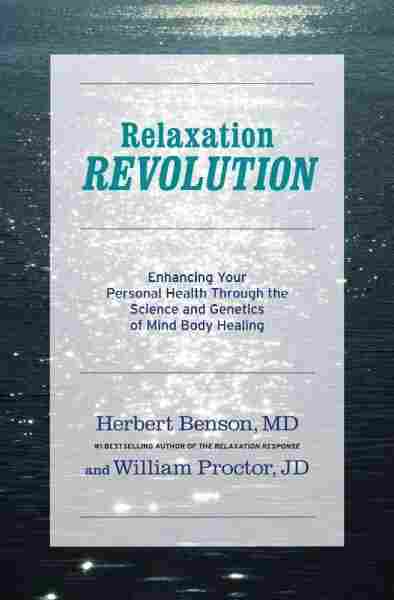 Harvard researcher Herbert Benson coined the term "The Relaxation Response" in 1975 with a book of the same name. In it, Benson used scientific research to show that short periods of meditation, using breathing as a focus, could alter the body's stress response. "It does away with the whole mind-body separation," Benson says. "Here you can use the mind to change the body, and the genes we're changing were the very genes acting in an opposite fashion when people are under stress." Of course, breathing is not the answer to every medical problem. But Benson and others agree: The breath isn't something Western medicine should blow off. It's a powerful tool for influencing individual health and well-being. And the best part is all the ingredients are free and literally right under your nose.